How would you feel if you discovered that you were being lied to constantly? 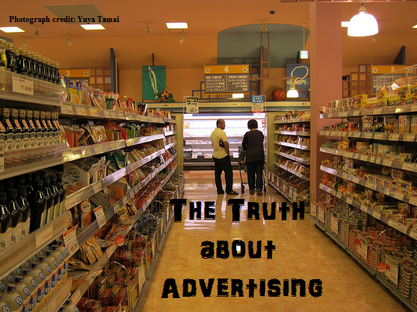 That the products being advertised via various media may not be exactly what they are portrayed to be? And that often you are a victim of outright chicanery? Walter Vieira, Chairman of the Consumer Education and Research Centre, Ahmedabad, spoke on consumer awareness, the outrageous claims made by the manufacturers of products and what people can do to take the deceivers to task. Mr Vieira delivered his talk at a lecture session titled ‘When will consumers wake up and protect themselves?’ at the International Centre Goa. The consumer awareness talk was co-organised by GoaCAN (Consumer Action Network) and the International Centre Goa. ‘The cheating that is going on in the country…with products, with services, with what have you, has reached phenomenal proportions,’ says Mr Vieira. The simplicity of the advertisements of the yesteryears cannot be denied. The Amul girl, for instance, was an integral part of the Amul Butter campaigns, endorsed with humour and conveying a message in line with a current event. Mr Vieira says, ‘You had a good laugh and remembered Amul… But times have changed.’ The competitive atmosphere of the economic market has fuelled advertising schemes that are underhanded and erroneous. Another major problem is the use of personalities such as Bollywood actors, sportspersons, etc who have nothing to do with the product but are roped in to cajole an impressionable audience into buying the product recommended by them. ‘Amitabh Bachchan and Binani Cement… What does he know about cement? Has he used cement…for generations to come?’ asks Mr Vieira. The use of star power to exaggerate the qualities of a product is deceptive. The producers of the cement are well aware that Amitabh Bachchan is known in the remotest villages and his endorsement is enough to lend the product credibility. Celebrity advertising poses a great danger in these times to the extent that the surge in the use of celebrity endorsements led to the introduction of the Consumer Protection Bill, 2015 that is yet to be enacted in the Parliament. The Bill would allow celebrities who are furthering false claims to be imprisoned for five years and to be fined Rs 50 lakhs. Badminton player Saina Nehwal has purportedly said that the manufacturing company must be held responsible for any misleading claims and that the celebrity must bear no responsibility towards the consumer. The situation will remain unchanged in India unless heavier penalties are imposed on the purveyors of lies. Multinational companies such as Adidas have also fallen into the trap of deceptive advertising. One advertisement, according to Mr Vieira, claimed that their shoes helped in the development of leg muscles. Unable to prove the veracity of the claim to the FDA USA, the company was fined twenty million US dollars. ‘Do you think Adidas will make the same mistake again? Not after twenty million dollars,’ says Mr Vieira. Celebrities have been pressuring the Indian Government not to pass the Bill. Aamir Khan seems to stand apart from the herd in refusing to promote fairness creams and hair oil, and maintaining the respectability of his profession as an actor. It seems farcical when Deepika Padukone, once a sportsperson and now an actress, tries to sell us Kellogg’s cornflakes calling it a complete meal while ignoring the high fat, sugar and salt content present. However Deepika is not the only one trying to convince us that some product is beneficial when it is not. Nutricharge, being endorsed by Amitabh Bachchan and Saina Nehwal, is an energy drink against which the Consumer Education and Research Centre (CERC India) complained to the Advertising Standards Council of India (ASCI) and had the advertisement withdrawn. There is no proof of what the drink contains or how it will increase energy levels in the body. It is highly unlikely that either Bachchan or Nehwal have tried the product or know much about it, yet they have no qualms about attempting to convince us it is the best thing for us. We have Ajay Devgn selling us tobacco in packets that have the warning against injurious tobacco consumption in the finest print possible. ITC, despite being a reputed company, has flagrantly resorted to painting a different picture of its so called Aashirvaad Sugar Release Control Atta. The product claims it is a natural grain mix that can lower glycaemic index (GI) while ensuring energy. But it cannot substantiate these claims, or whether the wheat flour is good for the entire family or only people with diabetes. Wheat flour supplies carbohydrates which, when consumed in excess, are harmful to diabetic people. Amul promoting butter consumption by equating it with milk, O’Cean claiming to be the only water without sugar, Gulab Oil asserting it is ‘the less absorption oil’, Patanjali’s Jeera Bites, which claims to add healthy jeera to the diet when the jeera in the snacks is in miniscule amounts, are just a few of the other advertisements that hoodwink customers and have no proof to support their claims. Another gimmick that is used by advertisers is fear creation, as in the Amplifon (hearing aid) advertisement that says that ‘hearing loss is easy to deal with, falling isn’t’. Weight gain and weight loss products are typical in being unable to give evidence of their credibility. Another perfidious tactic used is putting forth ‘experts’, who are usually just actors, to validate the product. Surrogate advertising by alcohol companies like Chivas Regal (music CDs) and Royal Stag (soda water) is unfortunate as well. Apart from this, food items that we buy have become prone to adulteration and about 80% of turmeric sold in India is adulterated. Avoid all turmeric that is sold loose and cheaply packaged. The safest turmeric is sold by established brands but even these are not completely above suspicion. The copper in turmeric can cause male infertility, liver damage, kidney failure, coma, and eventually death. Long term exposure to arsenic in turmeric can lead to cancer, skin lesions, development defects, cardiovascular disease, etc. Fab India has been found by CERC India to have a high content of copper and arsenic in its termeric. Morarka Organic turmeric is one of the safer brands. Arsenic has been found in lipsticks and high lead content has been found in kajal, including reputed brands too. CERC India is working hard to spread awareness, cautioning and making consumers aware of their rights against the odds of political clout, money power, and linguistic diversity in India, which makes communication of details a difficult prospect. The educated public should take some responsibility in responding to the information available and disseminating it among the uneducated and people with limited access to the facts. In doing so, we can hope that the consumers will learn to make educated choices, and foil the ploys of miscreant companies, to lead a more wholesome lifestyle.